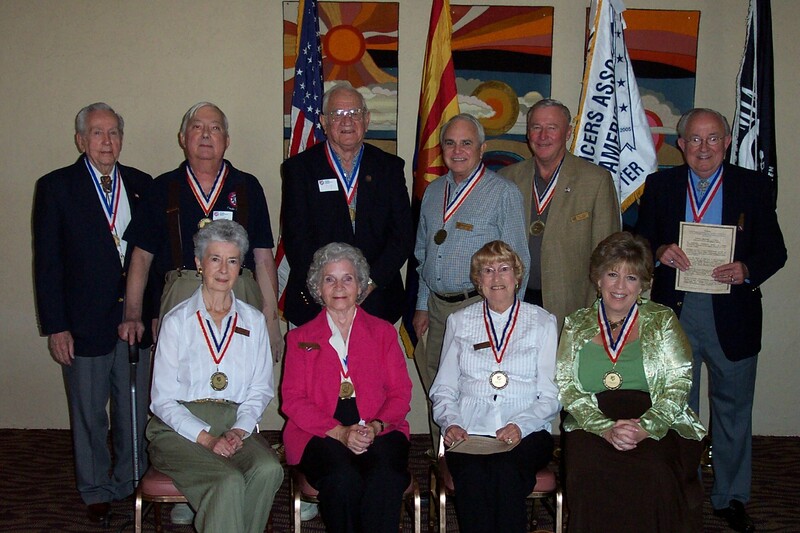 At the 18 November 2006 luncheon meeting, Chapter MSMs were awarded to eleven members of the Arizona Chapter for superior service to the Chapter and its members. COL “Chuck” Schluter, USA Ret. 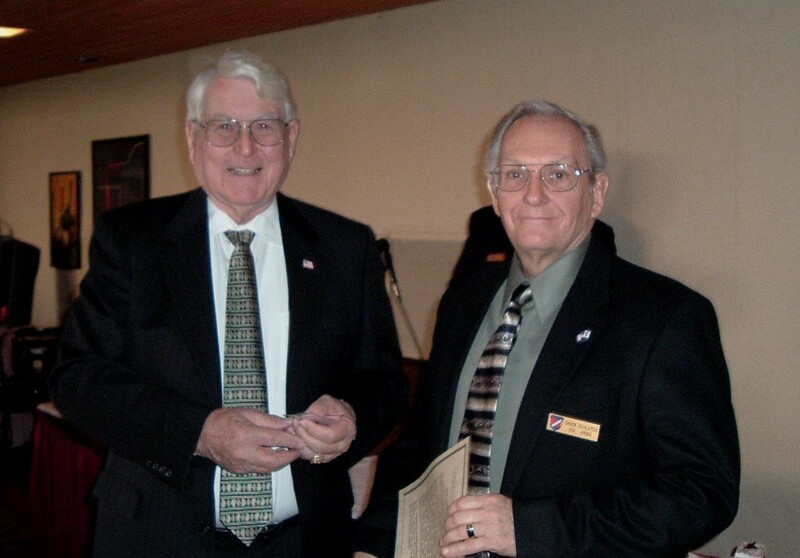 (on the right), receives his 3rd Award of the Meritorious Service Medal at a later meeting from CAPT Dan Conway, USCG Ret.